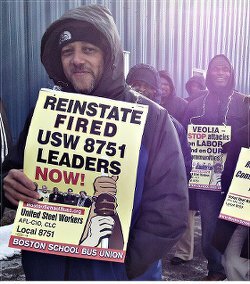 The attempt by the city of Boston to impose a racist austerity regime on its schools involves Veolia Corporation’s attempt to rip up the school bus drivers’ union contract. This includes the illegal lockout of union members last October, the firing of four of its leaders and now the frame-up charges against grievance chair and union founder Stevan Kirschbaum. The immigrant workers’ local, mainly Haitian and Cape Verdean but also African American, is highly mobilized and fighting back fiercely. So much so that even the Boston media had to admit that the union turned Kirschbaum’s July 14 arraignment into a protest that took over the chambers and steps of the Dorchester courthouse. THEREFORE BE IT RESOLVED: This resolution is an appeal for unity. USW Local 8751 is under siege and supports this resolution. It’s an appeal to organized and unorganized labor; working-class communities especially those of color; immigrant rights; youth and students; people with disabilities; and women’s and LBGTQ organizations which are all under attack. 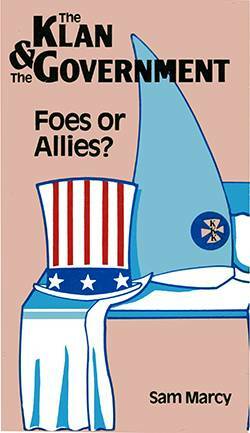 Allies are needed to support the heroic fightback of Local 8751 such as: (1) Pass resolutions, sign petitions denouncing Veolia, the 1%ers and their racist, union-busting, anti-immigrant program and plans to create a low-wage workforce. (2) Build and broaden solidarity against hostile corporate and financial powers that are imposing austerity, war and occupation, unemployment and underemployment, hunger and homelessness, racism and prisons, and migrant children incarcerated in concentration camps.